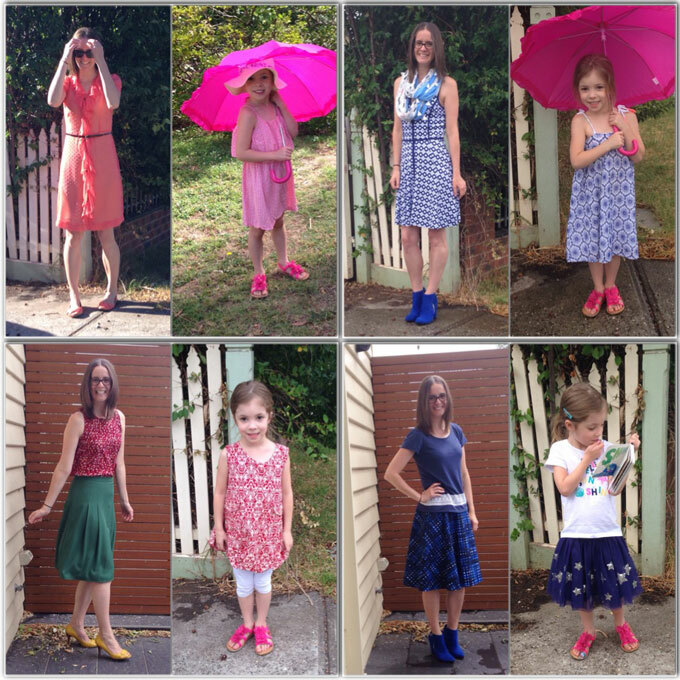 Last August, I let my daughter choose my outfits for a week. And, after endless whining requests to do it again, I caved in graciously opened my wardrobe to her again. Last week, my daughter chose everything I wore. Every day. From head to toe, she was my stylist. Monday. 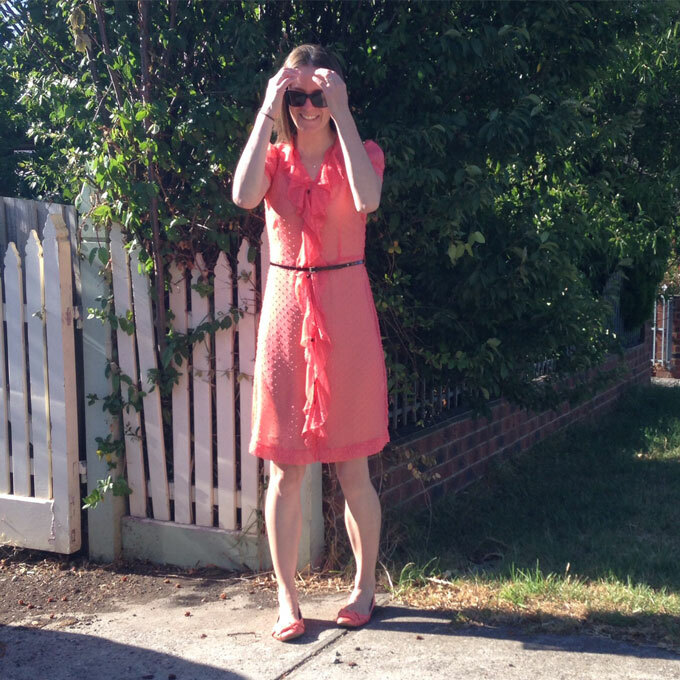 My daughter chose a dress I hadn’t worn since she was born, and flat shoes in the same colour. My daughter has been asking me about this dress for a long time. In fact, I’m 90% sure the main reason she wanted to be in charge of my wardrobe again was simply to make me wear it. 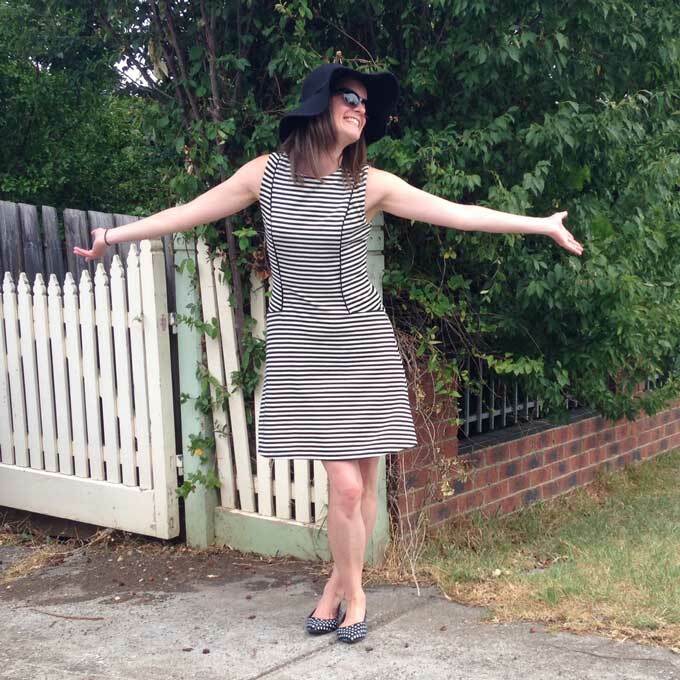 This old-school Review dress came with us to the supermarket and the library, and while it wasn’t as comfortable as jeans and a t-shirt, it didn’t really hold me back from doing anything. I have a confession to make: I didn’t wear this all day Tuesday. First thing that morning, my daughter chose a cocktail dress and stilettos. But we spent the morning at the Botanical Gardens having a picnic, so I pulled rank and wore shorts (for modesty purposes), a long-sleeved shirt (for sun protection purposes) and flat sandals (for der purposes). But as soon as we got home, my daughter insisted I change. Not into the outfit she had originally chosen, but into this. Ahhh. Much better than the dress and stilettos combination! This was simple and comfortable, and I love the contrast of the stripes and dots. Winner. Wednesday. 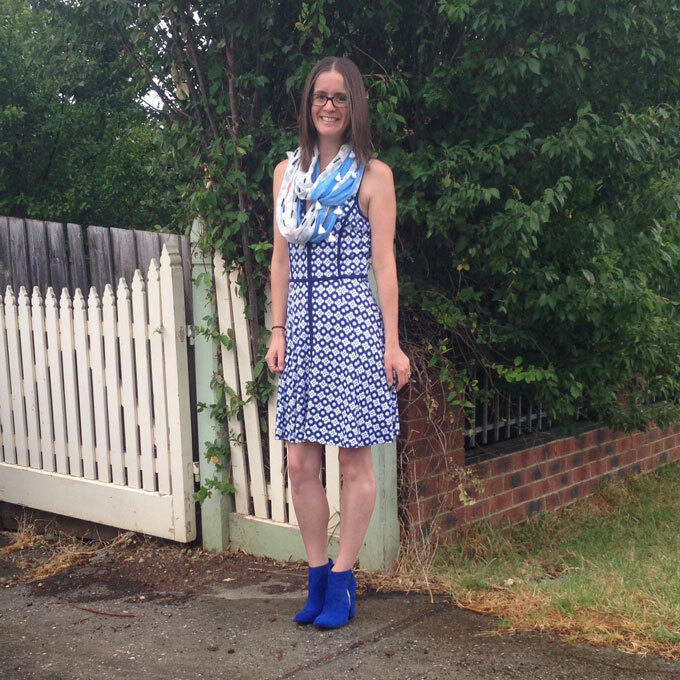 Another dress (I’m sensing a pattern here), this time teamed with a scarf and boots. It was cool in Melbourne on Wednesday morning, so forgive the goosebumps in the pic. But as the day continued, the sun came out and this was a lovely outfit to wear. The boots have 10cm heels, however, which made our afternoon walk to the post office and the park a little uncomfortable, and a lot slow. Thursday. 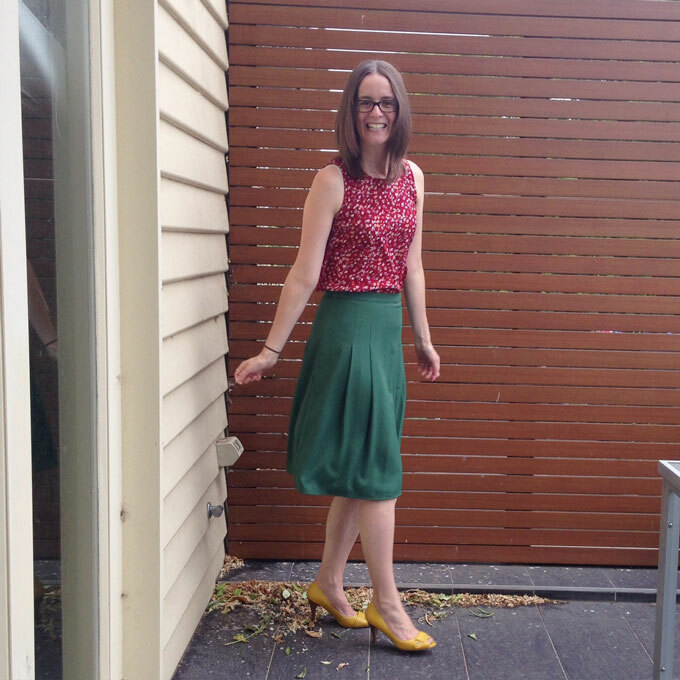 A shift from dresses to tops and skirts, with today’s choice featuring a floral tank, an olive green midi skirt and mustard peep toe heels. Friday. Another tank and another skirt, with matching (or, some might argue, clashing) polka dot shoes and belt. When my daughter picked out all of these elements on Thursday night, I cringed. (I also had a flashback to last August, when she chose a similar outfit, also for the Friday.) Squares! Stripes! Checks! Spots! 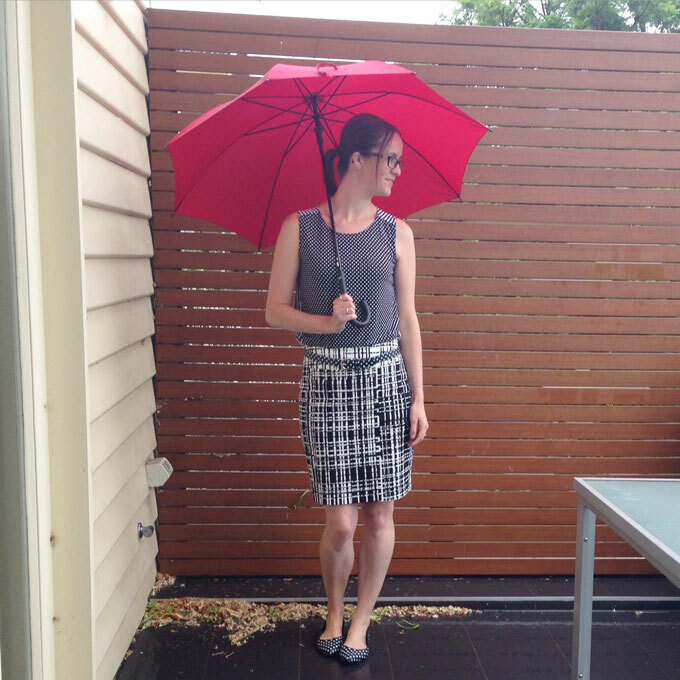 Monochromatic pattern overload! But somehow, I again think it all worked. I don’t like this monochromatic print clash of epic proportions as much as I liked the winter version, but it ain’t bad. And it was perfect for a morning of kiddlywink haircuts and shopping centre entertainment, and an afternoon bike ride (kids) and walk (me). Saturday. 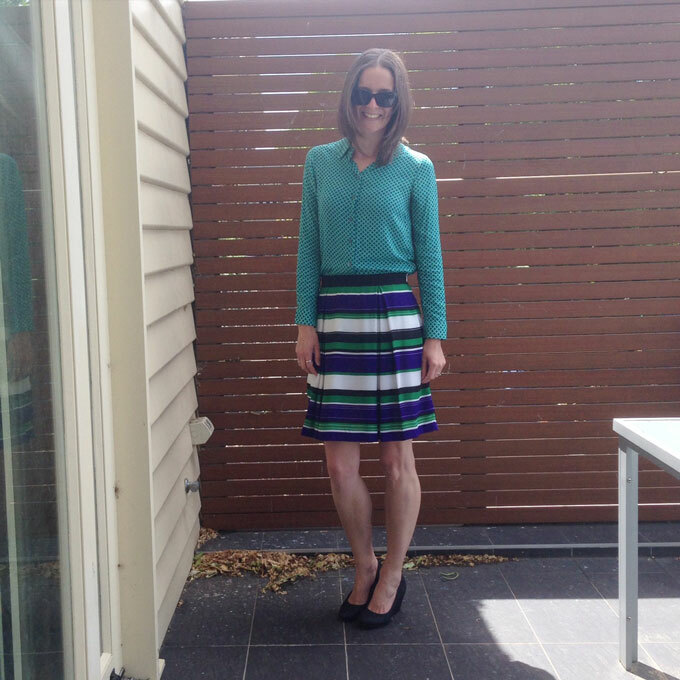 A green and black patterned long-sleeved shirt, a pleated skirt with black, white, green and purple stripes, and black wedge pumps. I spent most of Saturday at the computer, so my outfit wasn’t particularly important. A pity, because I quite like this one! And I never would have put it together myself. My daughter haz mad skillz. I’ll be putting this on the possible client meeting/job interview outfit list. Sunday. Another top, another skirt, and the return of the mega-high booties. I like this top. I like this skirt. I like these boots. But I don’t like them all together. So here comes another confession: this outfit didn’t last all day. There was a legitimate reason – I bought a new bike on Sunday, and couldn’t ride it in this skirt and boots – but I’ll admit it was a relief to get out of this outfit and into something more practical. Just as in August, this was a fun activity to do with my daughter. Although she put me in these seven outfits, she came up with far more options during the week just for fun. I’m sure she would love to dress me for the entire year. And this time, I learnt a bonus lesson: my daughter likes us to match. So, will we do it again? Probably. Will I blog it again? Probably not. I wouldn’t want you all thinking I’ve become a fashion and beauty blogger, now, would I? Oh I LOVE these posts! Please blog about it again if you revisit this down the track. Your daughter does have an extremely good eye for this, and I loved the way she coordinated her own outfits as well. I’ve still not mastered this at the age of 39. Thank you, Mel. She certainly does have a good eye! Wow. She’s talented! Seriously. I’m loving Wednesday and Friday the most, but all of them are pretty darn stylish. That’s so cute that she likes you to match!! 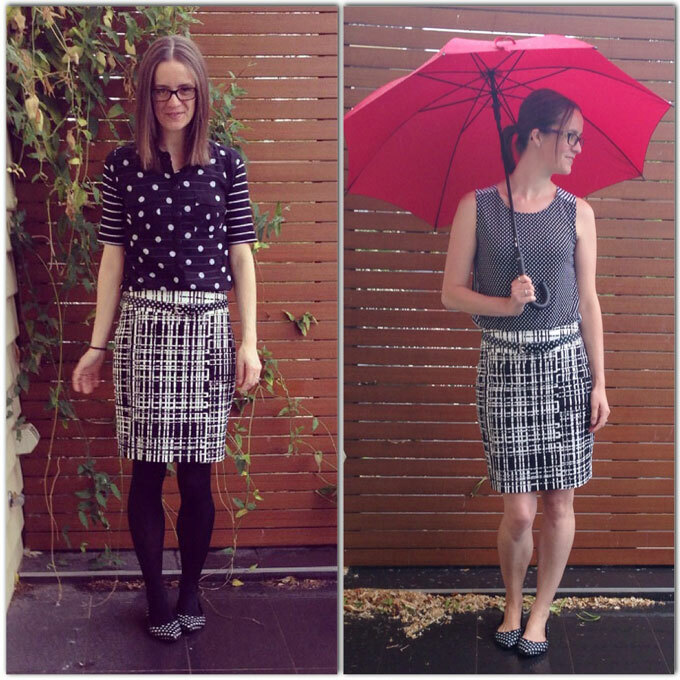 She usually matches prints exactly, so I’m still surprised (five months later!) that she print-clashed so deliberately. 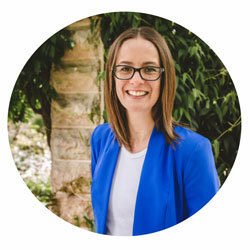 I’d love to see what Esther could come up with! So it was! I didn’t think of it like that! I really love the Friday outfit!! Your daughter certainly has an eye for what works (comfort is overrated when it comes to fashion ;)). That is so cute that she likes to wear the same thing. My daughters would make sure they were wearing the complete opposite to me – lol. She has an eye for fashion. Haha! I’m sure we’ll get there. Dress like mummy? Bleeurgh! Ooh, that would be fun! 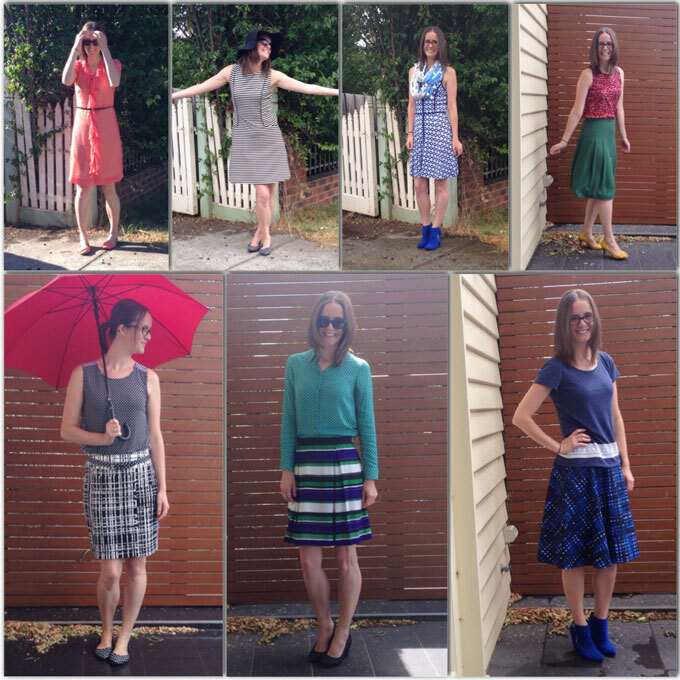 I did that myself last year (the throwing out part – turned out I owned enough clothes to not have to buy much more!) so that helps with handing over control. There’s nothing in my wardrobe I wouldn’t be happy wearing. Love it! I’m sensing your daughter likes to colour cooridnate things -blue dress/blue boots, coral dress/coral shoes, polka dots with polka dots in black and white … budding fashionista! Definitely! We’ve got hundreds of photos of her in monochrome outfits – head-to-toe purple, blue, pink, everything! Thanks Lauren. She did a great job. 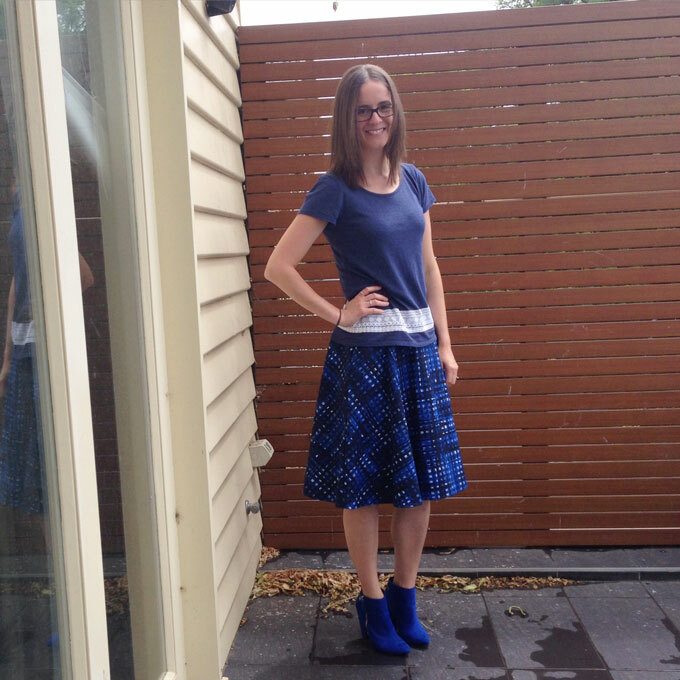 And thanks – I love pretty much every item in my wardrobe! Slightly less keen on the exercise gear, but what can you do?! Now you’ve got me thinking … what if I turned my wardrobe decisions over to the hubster for a week?! There would be some VERY interesting combinations, and that’s for sure! Your daughter did well – I like the summer monochrome look better than the winter one, I think all the patterns are in better proportion. Oh, I know what hubster would be dressing me in for a week, and there would be NO photo sharing on social media! Thanks Denyse. She surprises me every day. Wow your daughter has an eye for style. I really loved Wednesday’s style. Mr 6 has his seasons all mixed up when it comes to clothes so I’m not sure I would trust him to style me lol! In August, I was very cold some days! Summer seemed to work better. I’ve taken to removing things from my wardrobe that I don’t like or wear so hopefully if a stranger (since I don’t have kids) dressed me I would probably be ok with it. hehe cute, she does like mixing patterns. She did a great job! Thanks Lu! It’s funny, because she used to match patterns. Now it’s matching colours with pattern mixing, or matching patterns and any colour goes. This makes me want to let my kids choose my clothes! But then I don’t know what I would do if I was having a fat day and they chose ‘skinny day’ clothes. Maybe it’s an important lesson just for that? My son hasn’t really shown any interest in choosing my outfits, though he does comment if I am wearing something different and let’s me know if he thinks I look pretty. I hope he keeps that quality, when he is older with girlfriends or wife. That’s lovely! My little man will say ‘you look pretty mum’ if his big sister does. I’ll take it! Your daughter has some serious style game! Love these selections; bold and quirky yet totally wearable and cute. She has waaaaaay more style than me. Gets it from my husband’s side of the family!